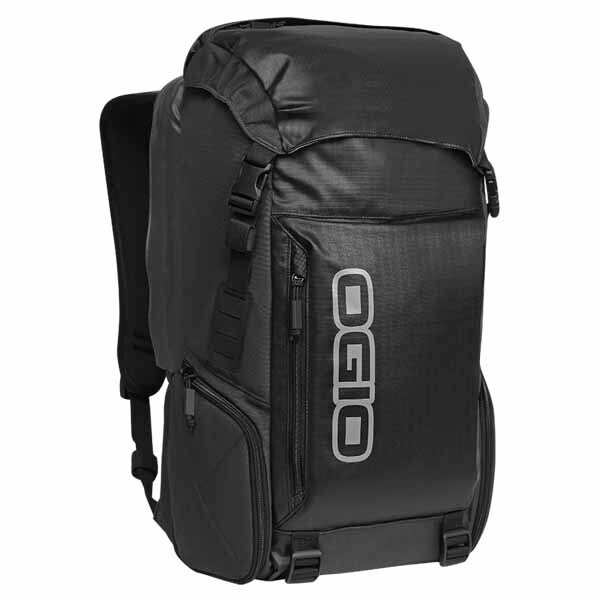 The weather-resistant outdoors inspired OGIO Throttle Backpack is a champ whether you are taking it on a quick hike or trekking through the concrete jungle. Its unique top loading main compartment and multiple pockets provide the ultimate storage space.The Throttle Backpack will keep you moving at your highest caliber while giving you the durability, storage and organization you need. Whether it's sunshine or rain, the protective and water resistant rain hood protects all of your belongings from the elements. Under that hood is a drawstring opening that gives you ultimate storage space. Fleece-lined pockets keep your electronics and sunglasses protected from scratches while you conquer your next adventure. Other organization pockets keep everything in order so nothing ever gets misplaced. Once you've packed your bag full, fasten the sternum strap for maximum comfort and start your journey with the Throttle Backpack.